Alabama player Riley Smith holds the distinction of being the first National Football League player taken in the league's annual college draft. Yet, Smith was not the first man selected in the NFL's inaugural 1936 selection ceremony. The NFL draft of college players emerged from a plan devised by Philadelphia Eagles co-founder Bert Bell and subsequently approved by the league owners in May 1935. Bell's Eagles were given the first pick in the first draft held at the Ritz-Carlton Hotel in Philadelphia on Feb. 8, 1936. 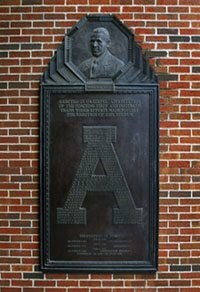 They chose Jay Berwanger from the University of Chicago the recipient of the first-ever Heisman Trophy. The Eagles subsequently transfered their signing rights for Berwanger to the Chicago Bears. When the multi-talented halfback asked for $25,000 over two years, Chicago coach George Halas balked. With that, Berwanger brought his football career to a close and took a job as a foam rubber salesman. 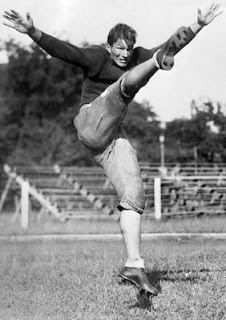 The second player selected in that draft was Alabama quarterback Riley Smith who was taken by the Boston Redskins (who moved to Washington D.C. the following year). At Alabama Smith played quarterback but also blocked, punted, kicked extra points and booted field goals. The Greenwood, Miss. native was named to several All-American squads and won the Jacobs Blocking Trophy as the best blocker in the Southeastern Conference. Smith's play was pivotal in the 1935 Rose Bowl win over Stanford as he kicked the final points in the 29-13 contest to give the Crimson Tide the victory. After the draft, Smith signed with the Redskins and became the first active NFL player chosen in the now-annual event. Between 1936-37 he missed only three minutes in 26 Redskin games but he only appeared in seven contests in 1938 before his career was brought to an early end by injury.